To quote the best color man in the history of baseball: "Never let the facts get in the way of a good story, Harry!" What relevance is anything before Almaraz/Klentak? Almaraz's picks must be good because Arbuckle/Wolever drafted Burrell, Myers, Utley, Floyd, Hamels, Nola? Plus the Gillick/RAJ/Wolever era was pretty awful, albeit as much for giving up picks than making them (and from the winning, of course). Though you do have to include all the talent they used to get players too. To me there's not much to argue about, except what else are we gonna do? 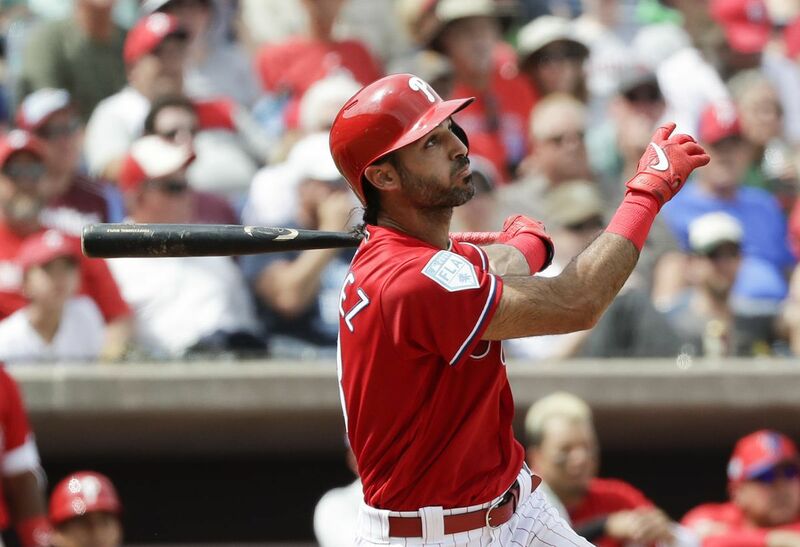 Time will tell whether the Phillies are smarter than other teams and conventional wisdom. I don't think they drafted poorly or ambitiously/unconventionally in any year though. There's always what might have beens. But it's also true that with four Top 10 picks in a row you'd like one of them to be someone everybody agrees on and is love with, not just someone where we can say, "it's too soon," or "the naysayers are wrong." Well, I might just as well ask what relevance is there, really, to trying to evaluate the last four drafts before the returns are in? Exit polls as of 2 pm on election day can be thoroughly misleading. Obviously, one can't evaluate Almaraz' performance based on those who went before. On the other hand, it might be interesting to mine the archives here, and see what posters here were saying about the Arbuckle/Wolever/Amaro draft record about four years ago. I don't know what you'd find, but it's my sense that there is a tendency among many of our regular posters to focus on whatever negatives may be available. It will be interesting to see who the fourth bench player will be. The Phillies this spring have used their last five first-round picks: Aaron Nola, Cornelius Randolph, Mickey Moniak, Adam Haseley, and Bohm. The four first-round picks before Nola in 2014 are no longer with the Phillies, and three of the four are out of baseball. I actually think that is incorrect (regardless of whether you count true first-rounders or comp first-rounders). But If you really want to make a case for reflexive negativity about Arbuckle/Wolever/RAJ I think you definitely have to go back more than 10 years. Anyone who was overly negative between 2008 and 2013 was right. I’m basing it on everything I’ve ever read about them from an evaluation standpoint. YMMV. As I’ve said many times, to have drafted 4 top 10 picks in a row, including a 1.1, and for NONE of them to look likely to be even an above average regular is...abysmal. Which reports have you read from an evaluation standpoint that said NONE of them have the upside to be even an above average regular? 2016 jumps out as being collectively bad with only four players ranked and only three of them--one of them just barely--in the top 50. Almost reminds me of 1989, the Year of the Bust--the Phillies took Jeff Jackson at #4 and he turned out to be one of three guys in the top ten who didn't make it to The Show while two others had only brief, undistinguished careers. Meanwhile, six teams passed on eventual HOFer Frank Thomas. Squire--assuming McDaniel's mock holds, who would be, say, your top 3 choices for the Phils at 14? That's a very position player heavy top 10, and top 14 if those other 4 guys slot next. I like your strategy, if the draft unfolds as this guy predicts. It's hard to believe things are so unbalanced that 11 of the top 14 prospects are hitters. Also becoming hard to imagine that we'll make a good pick if we decide to go with a position player.